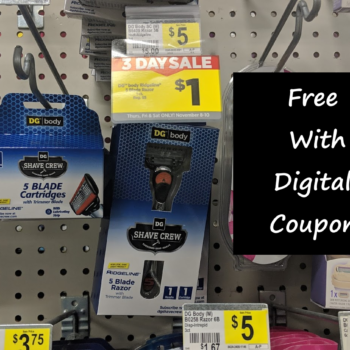 Free Shave Crew Razor with Dollar General Digital Coupon ($5 Value)! As part of their 3 Day Sale, Dollar General is offering the Shave Crew Ridgeline 5 Blade Body Razor on sale for $1. 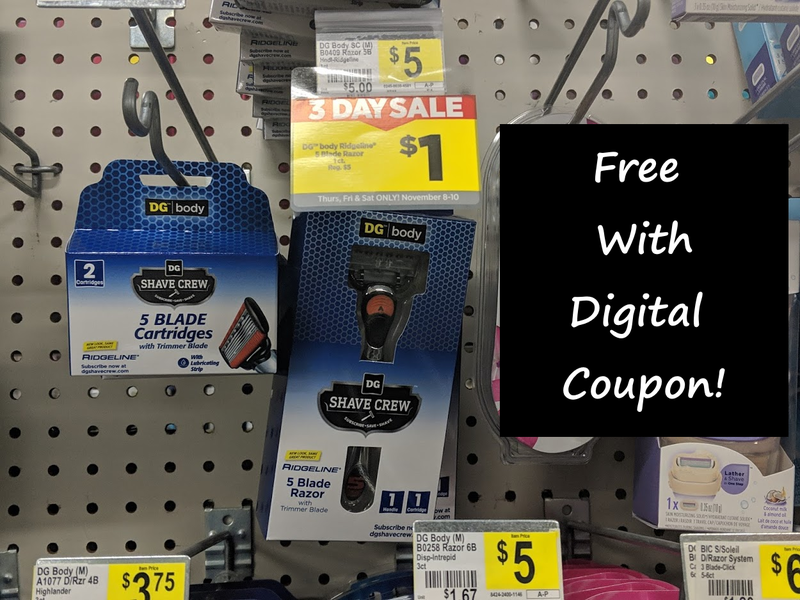 Even better, check your digital coupon account for an offer to save $1 on this razor making it FREE! This offer is valid until 11/10 and while supplies last!